The total vessel support package including your very own dedicated ‘First Mate’. BoatSmart HQ is a unique vessel support package that ensures your boat is safe, seaworthy and ready to go when you need it. As soon as you register, BoatSmart HQ will pair you with your own dedicated First Mate who will get to know you and your vessel inside and out. You will also have the unique mobile BoatSmart HQ app which manages all of the critical service elements of your boat so you don’t have to. Your First Mate will be available by phone to support you if you have issues while on your vessel. He or she will be your advisor when you’re thinking about upgrades or maintenance work, and can manage these for you. Your First Mate will also log all maintenance and upgrades to your mobile BoatSmart HQ app that comes with your total vessel support package. And every month, he or she will carry out a detailed inspection of your vessel and send a thorough Vessel Inspection Report back to you using the mobile app. Your subscription also includes membership to the Coastguard to make sure you have peace of mind once you leave the marina. In short, becoming a BoatSmart HQ member lets you enjoy the best bits of owning a boat – leaving the hard work to us and putting you in control at all times. "This is my first sea bound boat. With my BoatSmart First Mate’s knowledge on tap, I have true peace of mind. Plus it makes me safe, saves time and MONEY!" "With a maintenance and activity log, and an independent monthly assessment, BoatSmartHQ services help to maintain the value of my asset, assists with my insurance profile, and allows me to cruise with confidence." "Shout out for the fabulous app and service BoatSmart provide. My First Mate seamlessly looks after my baby. If you don’t use them, you should. GIVE THEM A CALL." "BoatSmart assists boat owners by taking the uncertainty and worries out of owning and caring for their expensive asset. Imagine having the comfort of knowing that your vessel is being maintained and serviced on a regular basis – how better than to enjoy the asset you have trouble free." "Boating is exhilarating, and BoatSmart HQ allows you to enjoy it fully knowing that your vessel is well maintained and totally seaworthy." Just some of the services at your fingertips with our total support package. As well as being on call for you when you’re on the vessel and managing upgrades and maintenance, your First Mate will carry out a Vessel Inspection Report every month. This will use simple traffic light indicators to show you the status of every system on your boat, along with notes and pictures. Walk On is a managed service that ensures that your vessel is fully staged, checked, operational and ready to go out on the water so you can literally climb aboard and cruise away. It’s the perfect hassle-free way to make the most of your time on the water - simply booked in advance at the click of a button. Walk Off is the perfect way to end a cruise experience. As soon as you dock, we will get your vessel fully shipshape for the next adventure - clean, tidy, organised, checked and shut down. 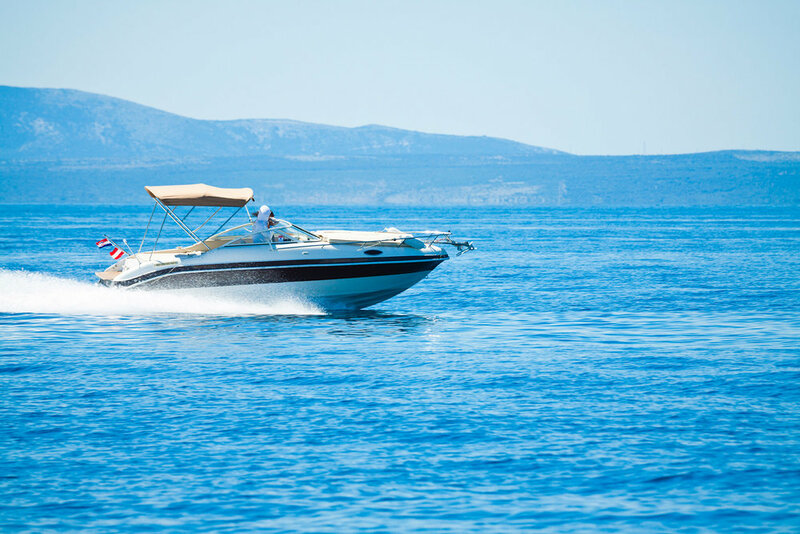 You can relax knowing that your boat has been well looked after and securely moored ready for your next adventure. Designed to save you valuable time and money, BoatSmart HQ's total vessel support package takes all the guesswork out of being a boat owner. We’ll manage all aspects of your annual scheduled maintenance including our unique comprehensive monthly running audit – the Vessel Inspection Report. It leaves you reassured that the right things are being done, at the right time, by the right people. This means that your valuable asset will remain just that - and you can confidently enjoy more time on the water.